There have been many terms over the years to describe what can essentially be thought of as asthma in our equine friends. Heaves, chronic obstructive pulmonary disease (COPD), recurrent airway obstruction (RAO) and broken wind are among the most commonly recognized. Regardless of the name used, it is referring to the narrowing of the horses airways or bronchoconstriction, mucous production, and spasms of the bronchi. Initially owners usually recognize a mild cough, increase in the respiratory rate, or hear wheezing. There is often a loss in performance, exercise intolerance and can be associated with weight loss as well. This disease is a non-infectious process and occurs in horses generally over the age of 8 years. The horse has to work harder to pull air into their lungs, and to expel the air, due to the thickening and narrowing of the airway passages. The horses use their abdominal muscles to force the air out and over time can get a more defined muscle line, referred to as a heave line. Elasticity is lost in the lung tissue and if untreated permanent damage can be done to the lungs. So what causes a horse to develop RAO? Research has shown that RAO often begins as a hypersensitivity or allergic response to an inhaled allergen; most commonly dusts, molds, pollen and fungal spores. The exact trigger is not usually identified. Recurrent airway obstruction is a disease that can often be diagnoses off of history and physical exam. The best tool to properly diagnose RAO is a bronchoalveolar lavage or BAL. The fluid sample is collected from the small airways where the disease is present. Tracheal washes collect fluid from higher up in the respiratory tract and the samples must be interpreted more carefully to make the definitive diagnosis. Often times blood work will be collected to rule out any other infectious airway diseases as well. There are two main course of treatment and they are both critical to the successful control of the disease. Feeding and management play a critical role in therapy. Eliminating possible allergens in the environment is often helpful. Hay should be free of dust and mold and ideally watered down to further decrease particles. Dusty grains should also be avoided. Good ventilation is critical and horses with RAO should ideally be housed outside as much as possible. If stalled at any point, there should be good ventilation. Shavings can be lightly misted to decrease dust as well. Horses who are already housed outside may suffer from allergies related to plants in their field. A change of field may be beneficial. Drug therapy is the other main course of treatment. Two different types are used to bring relief and control the inflammation. Bronchodilators are used for immediate relief and work quickly to open up the airways. Steroids are the other drug used to reduce inflammation and the secretions associated with the disease process. Dexamethasone is a potent steroid often used initially in treating acute episodes. Horses are often switched to prednisolone for long term treatment if necessary. Inhalers and nebulizers can be used with steroids and bronchodilators as well, and are often recommended for chronic long term treatment to decrease the systemic dose of drugs. Like humans, horses are all individuals and it can take some time to figure out the right management and drug protocol for each individual horse. Horses are all affected by the disease differently from very mild symptoms to debilitating disease. 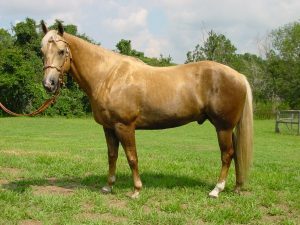 Horses whom are treated early, and maintained, often can perform their intended jobs for years. There may be no cure for the disease, but with a dedicated owner and the help of some medicine, horses with RAO can live full and happy lives.